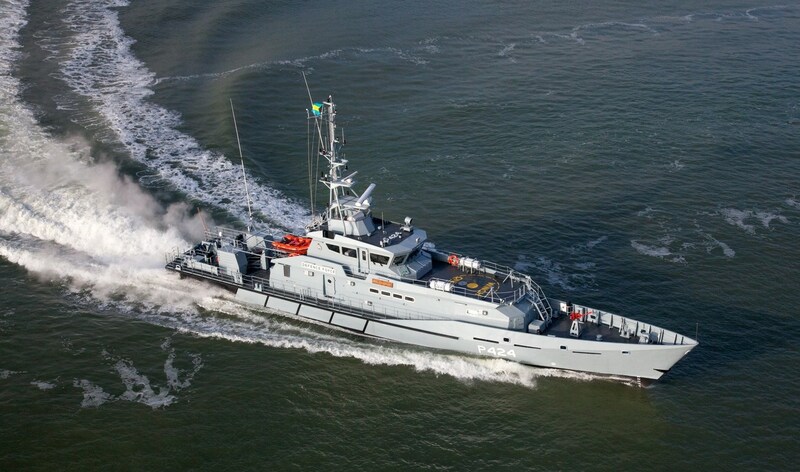 Home › Stan Patrol › Stan Patrol 4207 › Stan Patrol 4207 "HMBS Rolly Gray"
The Royal Bahamas Defence Force (RBDF) has taken delivery of the fourth and final Stan Patrol 4207, named HMBS Rolly Gray. The four Stan Patrol 4207s form part of the six-year Sandy Bottom project. The Stan Patrol 4207s carry a 24-person crew, have a range in excess of 2000 nm and can achieve speeds of 20 knots.